Ever since the Dark Harvest nerfs, Miss Fortune "struggled" to find a good rune. Most of the time, players ended up grabbing Arcane Comet, but it never felt quite "right". Ever since players starting using this new Miss Fortune build below however, that all changed. Press the Attack as a rune has been broken for quite some time. It's actually somewhat of a surprise that we didn't try this before. With her natural attack speed steroid, Miss Fortune is an excellent candidate for Press the Attack, and essentially gets a controlled Lethal Tempo at will. Miss Fortune's Strut passive reduces the cooldown by 2 seconds every time she hits a new target. At a 12 second cooldown and 4 seconds uptime, this means she only needs to land at least one auto per second on a new target to have 100% uptime on Strut [W]. After grabbing her Blade of the Ruined King, this is more than possible. As mentioned, after getting Blade of the Ruined King, Miss Fortune is able to maintain almost a 100% uptime on her Strut as long as she continuously changes targets and refreshes her Love Tap passive. Meanwhile, if she's taking down nexus turrets, alternating between them gives her the ability to take them down in less than a few seconds. The one shot potential that players have grown to love/hate on Miss Fortune is still available in this build, and the lethality she builds right after BoTRK is still highly effective. 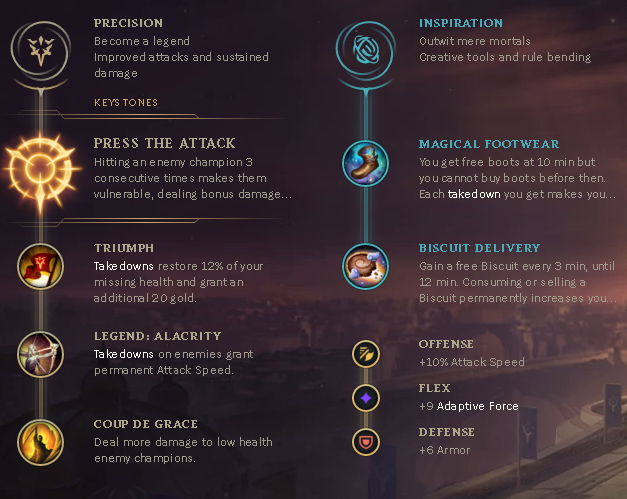 This build essentially moves a late game item (BoTRK) over to early game to provide sustain and maximize her attack speed without needing to build two full attack speed items to ramp up to full power. There are really no weaknesses to this build over other builds other than the standard Miss Fortune weaknesses. She's got relatively low mobility and is vulnerable during her ultimate. Otherwise, expect her to outtrade almost every other champion in the game, especially if she manages to dodge a skillshot. 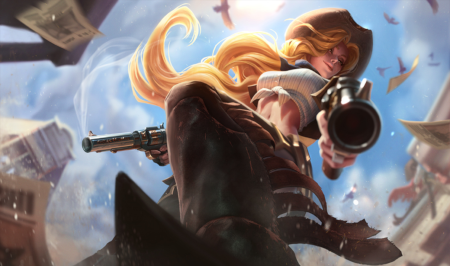 This version of Miss Fortune is the strongest she's ever been in Season 9, and although she doesn't play quite like the full lethality Dark Harvest Miss Fortune, she's significantly stronger when it comes to sustained damage.